NORWALK, CT — April 10, 2007 — Irving Levin Associates, Inc., a research and information firm that tracks investments and activities in the health care and seniors housing markets, has launched a new monthly publication, Senior Living Business. The newsletter made its debut with the March issue. Senior Living Business focuses on financial news and growth strategies for providers and suppliers in the not-for-profit sector of the seniors housing market. The monthly, eight-page newsletter will be delivered both electronically and in print. Each issue of Senior Living Business will explore best practices for developing, financing, and maintaining not-for-profit senior living facilities. Through management interviews, case studies, and targeted reporting, readers will discover strategies and techniques that are working well for their peers in the not-for-profit world, but with applicability in the for-profit world as well. The Senior Living Business charter subscription price is $487 per year. For more information or to order a subscription, please call 800-248-1668, email info@seniorlivingbusiness.com, or visit www.seniorlivingbusiness.com. 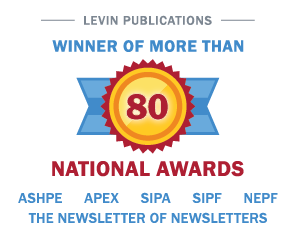 Irving Levin Associates, Inc., established in 1948, is headquartered in Norwalk, Connecticut. The company publishes research reports and newsletters — including The SeniorCare Investor and Senior Living Business — and maintains databases on the health-care and seniors housing markets.